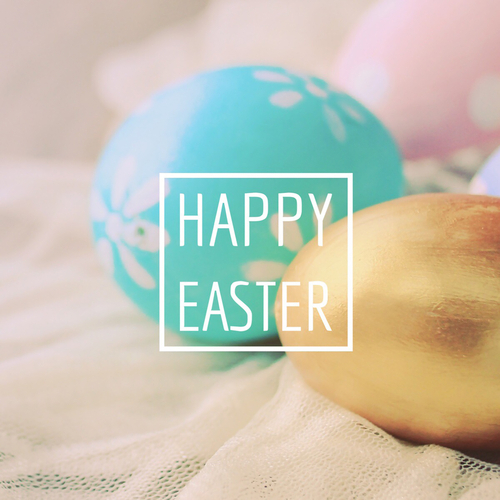 Happy Easter from the Tellwut Staff! If yes, how do you plan on celebrating Easter? If you have young children do they believe in the Easter bunny? Do you have a Easter hunt for your child(ren)? Do you like how Donald Trump is running America? If you are the type of person that would give a panhandler money but you don't carry money, if the panhander had the square would you tap them a few dollars? How do you view the government of the US president? Once you have registered your account at Tellwut you can start earning rewards. You receive a fast 100 points to register and then another quick 100 points when you provide additional information about yourself. This information allows us to invite you to special higher point value surveys, but don't worry; your responses are anonymous and co-mingled with everyone else. Also, be sure to key in your correct address as this is where your reward will be mailed. Once you have joined Tellwut you are an official "Tellwutter" and can give your opinion and Tell Wut You Think! For each survey you answer you collect reward points. You are never disqualified from answering a survey! All you have to do is log into Tellwut and start answering surveys and earning rewards. New surveys are posted daily. Bigger valued surveys are emailed to you, so don't forget to check "send me promotions" when signing up and watch your email for special invitations. Tellwut provides numerous ways to make money and get paid. Just by joining and answering surveys while you are logged in, you can rack up points quickly. You can earn more rewards by referring friends and creating your own online surveys. The first redemption level is 4,000 points and we have many exciting reward options available. You can cash in and redeem your Tellwut rewards for various prizes like Amazon Gift cards, Wal-Mart Gift Cards, Gap Gift Cards, Future Shop Gift Cards (Canada only), Home Depot Gift Cards (US only), Best Buy Gift Cards (Canada only) or save your points up for a Motorola XOOM Android Tablet. Tellwut offers a unique way for its Voter Panel to earn extra reward points for cash. Create your own online survey using Tellwut's proprietary software tool. All you have to do is click on "Create Survey" and choose your survey type. Choose "Single Question Survey" for only one question or if you would like to ask more than one question, choose "Multi-question Survey". Type in your questions and pick your answer type. You can choose from a wide variety of answer options like, Yes/No, Fill in the Blank, Multiple Choice – single answer or Multiple Choice – multiple answers. Don't forget to save your survey and when you are happy with it, just click publish. Once approved Tellwut reward points will automatically be deposited into your account. Send a private survey to your friends or that special someone, or ask the Tellwut Voter panel that question you have always wondered about. Are you getting a group together and want to have your own "Survey Says" style party? Create a number of thought provoking questions a few weeks in advance and start posting them on Tellwut. Surprise your friends with the questions and see what their answers are versus the Tellwut panel. Your questions and answers are guaranteed to provide some stimulating discussion and make your party memorable. Alternatively, do you want to know what your friends want to eat, what activity they want to do, or what food they may be allergic too? Post a private survey to the group and make sure your event runs smoothly! Tellwut provides an easy to use online survey software tool on its robust proprietary online survey platform. Design your survey in minutes! It's as easy as 1-2-3. We can also provide assistance and recommendations on your survey topics. Do you have paper survey results that you need to analyze? Key survey results as you canvass people over the phone. No messy tabulating later. View your results in an easy to read presentation. Want to post your surveys to your website, on Facebook or on your other social media pages? No web server, no software coding, no programming maintenance needed! Secure instance, either for public or for private surveys. Just copy the private link provided and customize your hyperlink. Using our business software tools, you can direct your responders back to you. If you are interested in market research on a specific service or topic, Tellwut's proprietary survey software tools allow you to direct your surveys to the demographic of your choice. Not sure what your demographic is? Post the survey on Tellwut's open forum and analyze the results on key demographics like gender, age, location, and more. Tellwut has a very active voter panel which can provide you with an instantaneous online feedback loop. If you want to gain valuable insight into your product, service or idea, put your questions out to the Tellwut panel. If you want to target your research to a specific demographic, we'll email your survey for you to your target audience. Watch your responses come in online. Reporting tools available and results are private. In a recent Tellwut survey, we found that 44% of companies do not solicit feedback from their customers. It's a well known fact that it is cheaper to keep an existing customer than to source new customers. Tellwut can provide you with a customer service template, which you can customize for your needs. Be an expert at customer retention by listening to what your customers are saying and act on their feedback. It's a win-win for both. Tellwut found that 43% of organizations do not solicit feedback from their employees. It's a significant cost savings and productivity gain to ensure that your valued employees are happy and stay productive. Utilize Tellwut to canvass your employees on various topics such as benefits, team building events, solicit all anonymously. Want a standard employee survey? We can provide you with a template to customize. Employees want to know they are being listened to and see results of these conversations. The Tellwut private survey platform is an ideal to show that you can listen and respond. Companies and organizations often run events and are tired after it's over, so they don't bother with feedback on those good ideas people have top of mind when the event is over. Tellwut can make your life easy for you. We can provide you with a template which you can customize to your event. Send us your ideas and we can customize your survey for you. All you have to do is email the survey link to your group and then watch your feedback come in via an online feedback link. When you plan your next event, you will have prior feedback results at your finger tips. Are you from a specific industry (dating, gaming, etc) and would like to garner information about the industry in general and your competitors? Use Tellwut to assist you in customizing a template to survey the tellwut panel or your own user group. You can use one of our generic industry templates to advertise your product and have targeted exit on completion of survey. Call us for a customized quote.